The Lake Erie shoreline is ice-free. Even if you find any ice, it’s not safe. Do not go on it. 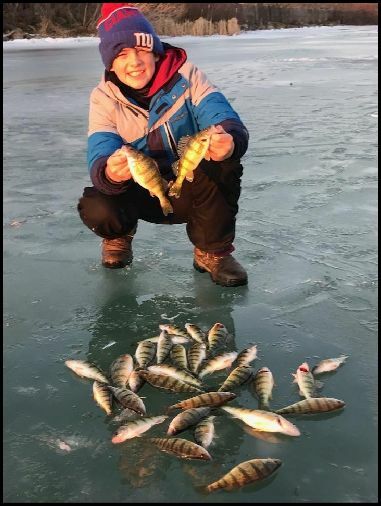 In the short time anglers got on the ice in Cleveland harbor last week, results were disappointing, Cleveland Metroparks aquatic biologist Mike Durkalec reports in his weekly fishing report. The main issue was a hyper-abundance of gizzard shad, which is great for predator fish, but bad for fishermen. The Rocky River and other area streams are currently elevated and muddy with more rain on the way. The ice is gone, though, and steelhead will be available as streams clear. As the water first clears it’s tough to beat a nickel size bag of trout of salmon eggs in bright colors, Durkalec says.